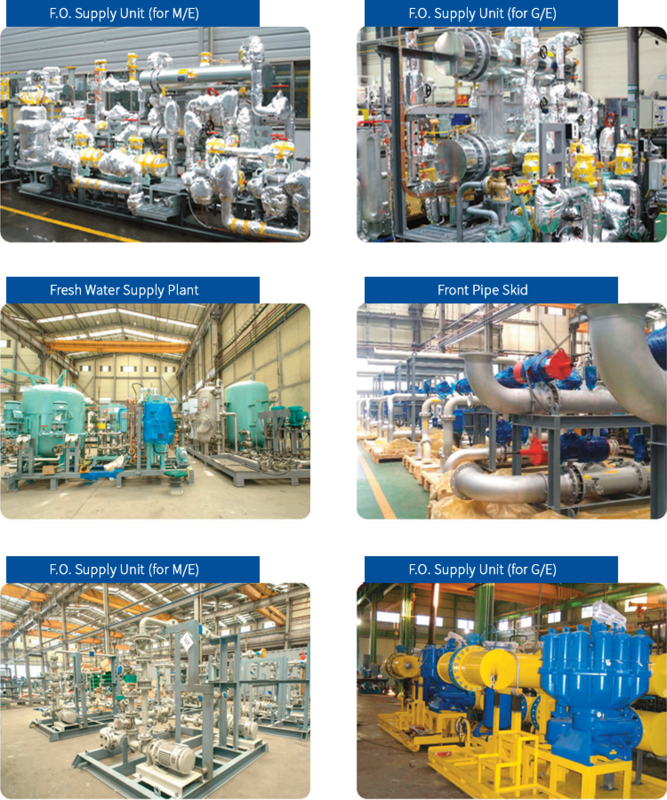 Since 1989, We SAMKUN CENTURY have manufactured and supplied Fresh water & Potable water treatment system to our clients. 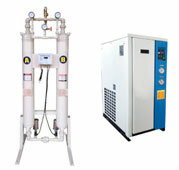 We have always strived to develop new products such as UV sterilizer, Re-hardening Filter and Silver Ion sterilizer. Thanks to our effort, now we supply technology-intensive Fresh Water Supply Unit. 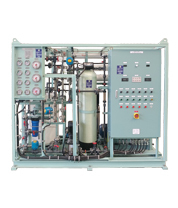 The fresh water supply unit supplies fresh , warm and cold drinking water for the crew and It consists of technical system of water tank, sterilizer, re-hardening filter(mineralizer), calorifier and pumps. Reverse Osmosis most commonly known for its use in drinking water purification from seawater, removing the salt and other substances. Reverse Osmosis is the process of forcing a solvent through a membrane from a region of high solute concentration to a region of low solute concentration by applying a pressure in excess of the osmotic pressure. We offer you package system which consist of Fresh water generator (Vaccum Evaporating type or RO type) & Fresh water supply system. Fresh water will be stored and pressure it maintains. The hydrophore tank is a welded steel fabrication, interior of which is specially coated with epoxy (PE coating or Rubber coating), a manhole is provided on the tank for inspection or cleaning the interior. All products are tested-welding point by penetration inspection. 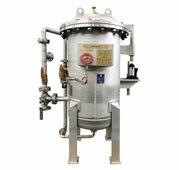 Hydrophore unit is available in the size from 100L to 5000L. In the galley, every time hot water is needed, Our H.W Calorifier is proper in that’s circumstance. It is used by shower, cooking, feeding etc. The bactericidal effect of silver is known from ancient times. Silver foils were used for treating wounds and silver vessels made it possible to store water. 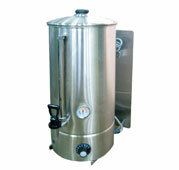 We supply silver ion sterilizer which remove micro-organisms by a catalytic method. The function of Auto Chlorinator is to provide the water with the chlorine in order to sterilize the water which contains a variety of bacteria, bacillus, and so on. HOCL&OH Radical are formed when chlorine dissolves in water. And they have strong oxidizing power to destroy the microorganism in disinfection . This method can disinfect the water with easy and long term. The water which is generated by fresh water generator in vessel, cannot be used by drinking water directly, because of pH value, hardness none of mineral component. For using mineralizer, increase hardness, pH value, mineral component. Dolomite & re-hardening material are usually changed. If pH value is lower than 6.5, recharging activity much be done. 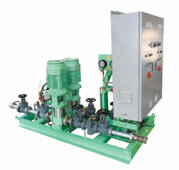 A specific type of hydrophore system is needed for the efficiency of maintenance and saving energy. Most conventional hydrophore tanks is too heavy and occupies too much space. A VFD system is used to control process flow without the use of a separate controller. Suitable sensors and electronics are used to interface the driven equipment with the VFD. 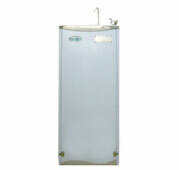 The Drinking water fountain is composed of a compressor, condenser, evaporator, silver ion filter, etc. The drinking water provided from the drinking water fountain is directly connected to the fresh water line. Also, the drinking water fountain is able to provide healthy and fine tasting water due to a Silver Carbon Filter which consistently sterilizes its contents. Silver carbon is added to improve the continuity of sterilization. The Hot Water boiler is a small electronic appliance used for boiling water and maintaining it at a constant temperature in the galley. 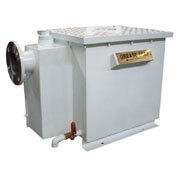 The Grease Trap separates the grease and solids from waste water in the galley. It is typically small enough to be installed beneath or adjacent to a sewer line. Excessive water, and atmospheric contaminants in compressed air can cause a variety of operational problems for users of compressed air. These include freezing of outdoor airlines, corrosion in piping and equipment, malfunctioning of pneumatic process control instruments, fouling of processes and products, and more. To prevent these problems, an air dryer is used for removing water vapor from compressed air. LO PRE-HEATER : It makes proper viscosity of lubricating oil for the purifier and ME/GE by heating lubricating oil at a constant temperature. 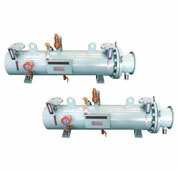 FO PRE-HEATER : Pre-heating lowers the viscosity of heavy fuel so that it can be properly atomized by the burner. M/E JACKET PRE-HEATER : It keeps cooling water at a constant temperature, when the engineis stopped due to repairs. This is the way to prevent problems which can occur by lowered temperature. 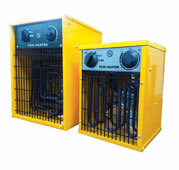 The Fan heater works by using a fan to pass air over a heat element. The Portable type is for ease in moving with a stainless steel heating element and all devices provide a dual protection against overheating. 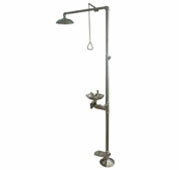 It has a built-in thermostat and regular power, and a powered whole metal casing cover to resist rust. The Emergency eye wash & shower is essential equipment when using chemicals and hazardous substances. Its purpose is to reduce workplace injury and keep workers away from various dangers.